The telecoms giant was roundly criticised for spinning out its mobile business in 2001. 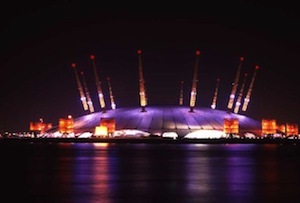 O2 might be returning to the BT fold like the prodigal son, 13 years after it was hived off. BT confirmed this morning that it was in talks with the mobile network’s Spanish owner Telefonica, as telecoms companies rush to make sure they can offer the so-called ‘quadplay’ of TV, internet, landline and mobile. ‘We have received expressions of interest from shareholders in two UK mobile network operators, of which one is O2, about a possible transaction in which BT would acquire their UK mobile business,’ the company said in a statement titled ‘Response to recent press speculation’. But that rather glaring omission just meant more rumours. The other network is EE, the UK’s largest by customers, according to anonymous sources cited by the FT. Its French and German 50:50 owners, Orange and Deutsche Telekom, had reportedly been mulling floating EE or selling it to private equity. The announcement came after Spanish website El Confidencial reported a deal would include Telefonica taking a 20% stake in BT as part of a ‘strategic alliance’, although it would be unlikely to be without a cash element. Shareholders were approving in a muted sort of way - shares were up almost 3% to 390.5p at midday. BT demerged O2 way back in 2001 after sustained shareholder pressure, when it was known at BT Cellnet. Telefonica, one of Spain’s largest companies, then snapped it up for £17.7bn in 2005. By then, BT was rueing that short-sighted decision. It’s not news that the former state-owned company wants to get back into mobile – it started soft selling a mobile service to its business customers this summer, with a consumer launch thought to be pencilled in for Christmas. ‘We have benefited a lot from not making a song and dance about it until we are ready to launch,’ chief exec Gavin Patterson told MT in August, roundly refusing to give details. Any acquisition would probably be just the first in a wave of telecoms consolidation, as TV companies scrabble to get into internet and mobile and mobile networks go after TV and online. EE launched a TV set-top box in October, while Vodafone is planning to roll out home broadband next spring. No doubt BT’s bitter rival Sky will also be sniffing around mobile networks, having consolidated itself across Europe by bringing Sky Deutschland and Sky Italia into the fold. Expect Rupert Murdoch to be calling up Vodafone (or tapping its phones) some time soon.